The third of the February super-sized forty-minute episodes. Susan Sarandon was nominated for an Emmy for her guest appearance as Cecilia Moore. 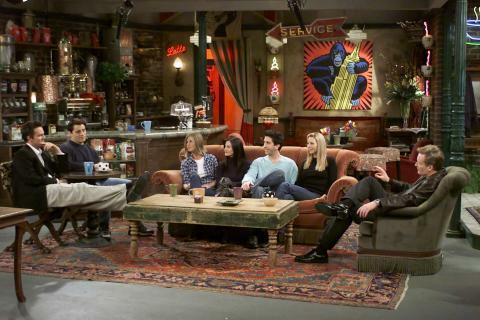 This episode was followed by a twenty-minute clips episode full of bloopers and Conan O'Brien interviewing the cast on the set of the coffee shop. See pics to right. Rating: 14.4/21. We learn that Phoebe lives at 5 Morton Street, Apartment 14. That tune Ross was trying to play was "Celebration" by Kool and the Gang. Susan Sarandon looks great in nothing but a man's shirt. I love that they showed a blooper during the credits of this episode. Bloopers are always so much fun, and we don't get to see many on Friends. Plus, it was a great lead-in for the clip show. And really, during that scene of the show, you could tell that Lisa Kudrow was almost losing it, so it was great to get to see her actually lose it. Sarandon said to People magazine regarding deciding whether or not to appear in this episode: "My kids said, 'Don't even read the script. Whatever it is, just say yes.'" Apparently, her kids are big Friends fans. Sarandon and her partner, Tim Robbins, only let their kids watch ninety minutes of TV a week, and Friends takes up a third of that. As an added bonus, NBC cast Eva, Sarandon's 15-year-old daughter, in a bit part as another soap actress. "She's been watching this show since she was 10, and here she was in [the Friends] living room," Sarandon says. "She got a number of laughs and did very, very well. And they gave her flowers." Besides inspiring a mother's pride, the episode had some real-life resonance for Sarandon. Soap opera buffs may recall that 30 years ago Sarandon, then 24, made her TV acting debut as Patrice Kahlman in the short-lived ABC show "A World Apart." "I played the girl that everything happened to," recalls Sarandon. "I started out the year getting kicked out of high school, and I was pregnant by the end." 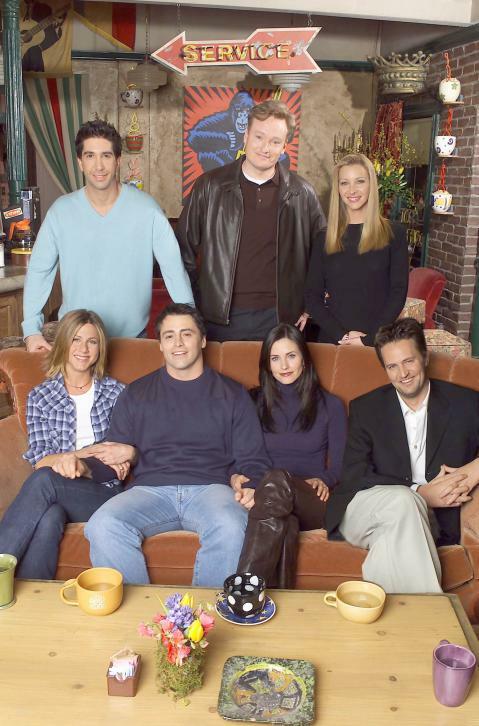 Calling the Friends shoot "a blast," the actress said she would be thrilled to come back - if only to visit her new best Friend. "Now that I kissed Joey," purrs Sarandon playfully, "he's my favorite."